"Peter Lorre in Mystery in the Air: Black Cat"
Peter Lorre, born László Löwenstein in Rosenburg, Hungary, actually ran off from home and joined a traveling Vienna acting troupe when he was only 17 years of age. During his 7-year stint with the troupe, young Peter became a student of the very famous psychoanalyst Sigmund Freud. He also was cast in Fritz Lang's "M" as the psychopathic child killer (Peter Kürten). His work in the film was so incredible, that the then rising Nazi party used his image in "M," unwittingly, on their famous Anti-Semitic poster for their infamous propaganda film, "The Eternal Jew." Some might remember Peter Lorre from his role in "the Maltese Falcon" where he played Joel Cairo. Others remember him from the very famous "Alfred Hitchcock Presents" episode, co-starring Steve McQueen, where a deranged killer goes around the country with his collection of pinky-fingers from his victims. 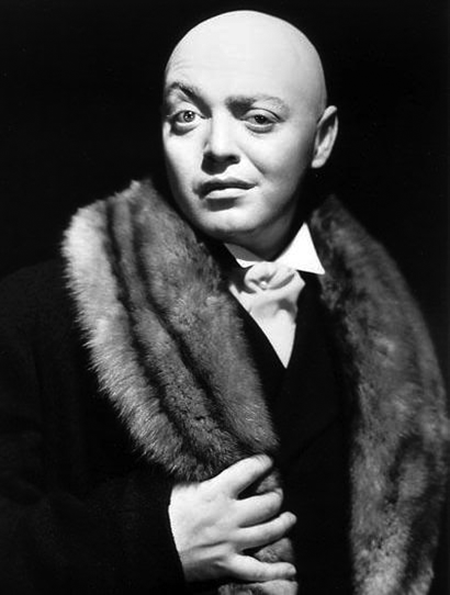 But, did you know that Peter Lorre was the very first James Bond Villain? Did you also know that his famous accent was the inspiration for the cartoon character Ren from "Ren and Stimpy?" But it was his befriending of the famous Spooky Trio, Boris Karloff, Bela Lugosi, and Vincent Price, that earned him eternal praise from society. Their friendship lasted their whole lives as they usually co-starred in each others movies, old time radio shows, and television shows. According to Vincent Price, during Bela Lugosi's funeral, where Lugosi was clad in his famous Dracula costume, when Peter Lorre gazed upon 'Dracula'/Bela, he leaned over to Price and said "Do you think we should drive a stake through his heart just in case?" Indeed, Lorre was just saying it in jest, probably to better cope with his grief due to the loss of his very dear friend. It was Vincent Price that read the eulogy at Peter Lorre's funeral in 1964. 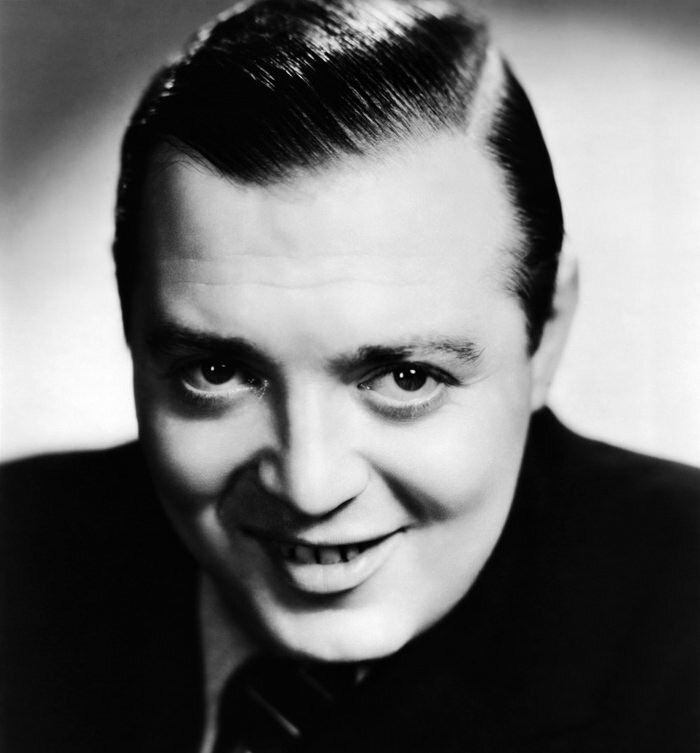 Its great to hear radio shows with Peter Lorre from Amos and Andy, The Bob Hope Show, The Fred Allen Show, etc. The people from OTRCAT really know their radio to be able to find these shows from so many different sources. Once again you will be entertained for over 26 hours of quality shows when radio was king! 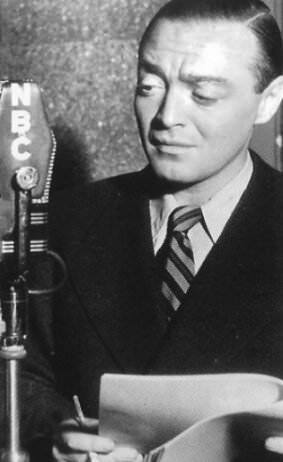 The high point of Peter Lorre's radio career was the MYSTERY IN THE AIR summer replacement series, and all the existing episodes of that show are in this collection. There are a few shows included by mistake which don't have Lorre on them, and only 5 minutes of a BIG TOWN show from 1949 which doesn't have Lorre in it either. There are also some episodes of MYSTERY PLAYHOUSE, an AFRS show in which Peter Lorre was the host. MYSTERY PLAYHOUSE was an anthology of scary radio programs like INNER SANCTUM, three of which are in this collection. Sadly, outside of MYSTERY IN THE AIR, Peter Lorre was hemmed in by his screen image and did comedic riffs on his Horror and Fantasy films in various radio programs. For the most part, this was a waste of his talent. Conversely, one of his early films for Columbia, CRIME AND PUNISHMENT has an excellent adaptation on MYSTERY IN THE AIR. How unfortunate that this fine series couldn't have run for at least a few years. For Lorre fans, of which I am one, this collection won't disappoint. Love listening to the old radio shows. Like the detective stories.love Inner Sanctum, Lux Radio Theater, Jack Benny, Broadway is My Beat. Actually everything I have ordered.